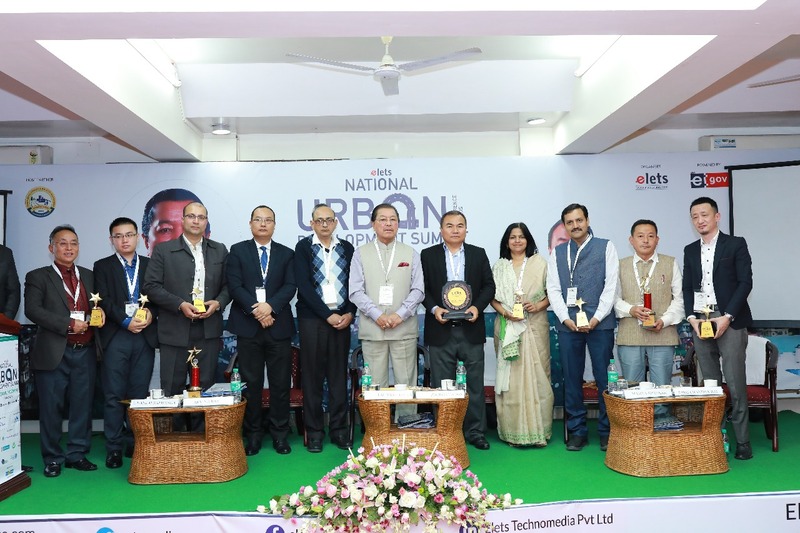 Smart City Administrators along with IT Department officials from various parts of the country were presented with special awards at the Elets 2nd Urban Development Summit, Aizwal held in Mizoram’s capital city on Friday. They were awarded for various innovations under Smart City & Digital India initiative categories. Mizoram Chief Minister Lal Thanhawla graced the inaugural of the summit as an esteemed ‘Chief Guest’ and presented awards to the winners. Haulianlal Guite, Secretary, Jaipur Development Authority was awarded the E-governance for Smart and Digital Jaipur award. Navin Rai, Joint Chief Town Planner, Urban Development and Housing Department, Government of Sikkim, was also awarded for the promotion of digital services in Sikkim. Ashutosh Pednekar, Secretary, Higher Education and Commissioner College Education, Government of Rajasthan, was felicitated for promoting Smart Education for Government college students of Rajasthan. Dr Toshimanen Ozukum, Head of the Department, Directorate of Municipal Affairs, Kohima, Government of Nagaland, was awarded for innovations for solid waste management in Kohima. Belina Rana, Joint Commissioner and Additional Chief Executive Officer, Faridabad Smart City Limited, was felicitated for innovations in smart e-toilets. Amod Kumar, Member, Board of Revenue, Government of Uttar Pradesh was also awarded at the summit. Awadhesh Sharma, Chief Executive Officer, Ujjain Smart City Ltd was felicitated for transforming mobility in religious Smart City. Munish Chandan, SeMT Head, Department of Electronics & IT, Government of Haryana received award on behalf of the department for Cashless Haryana Consolidation Portal (CHC Portal) and Haryana – Realtime Automated Feedback Dashboard (H-RAFD). Mamta Shankar,Economic Advisor, Ministry of Development of North East Region was honoured for innovations in DoNER. 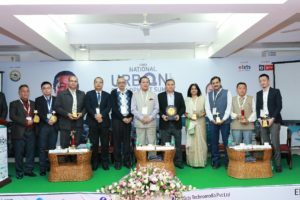 The National Urban Development Summit was organised on Friday by Urban Development and Poverty Alleviation Department, Government of Mizoram, as the ‘Host Partner’ in association with Elets Technomedia Private Limited-Asia & Middle East’s premier media and technology research organisation.